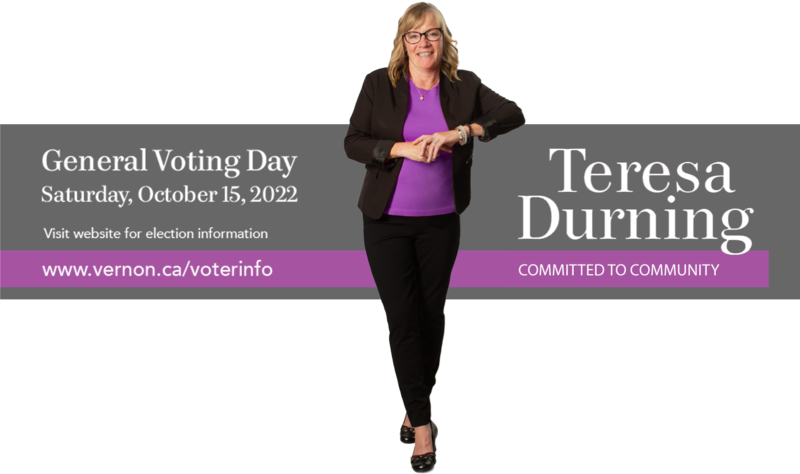 Teresa Durning is a business owner, volunteer and outdoor enthusiast who has been committed to making Vernon a great place to live and visit for more than a decade. Teresa’s family moved to Vernon from Golden in 2007 so she could take on a role representing the North Okanagan as manager of the Visitor Centre. Teresa went on to open Durning Directions & Service, Ltd., and continued managing Visitor Services for Tourism Vernon as a contractor. Over the years, her business and digital marketing studies helped her develop tools and strategies to support the goals of Tourism Vernon and its stakeholders. 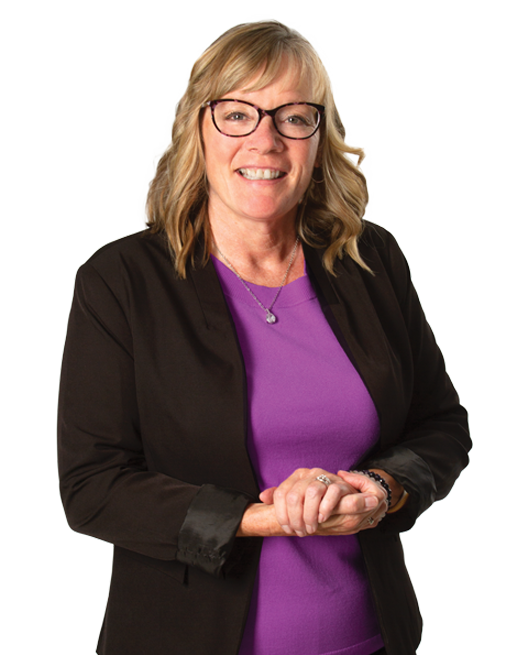 Recently nominated Community Leader of the Year, Teresa is well-known for her passion and commitment to Vernon’s success and all the ways she gives back to the community. When she’s not busy promoting our great city or volunteering for non-profits, Teresa can be found enjoying the beauty of the Okanagan outdoors with her husband, children, grandchildren and two Basset hounds. Work with the City staff, citizens and council to form definitive policies & partnerships that make our streets safer. Bring together key players from organizations such as Social Planning, Interior Health, BC Housing, Aboriginal Housing, Ministry of Children and Families to find meaningful solutions to challenges caused by some street entrenched citizens. Work with the provincial government to increase funding for housing, and drug and alcohol addiction treatment. Support and drive initiatives that would curb the culture of crime in the downtown core. Work with city law enforcement ensuring optimal coverage during high crime hours. Work with community organizations to identify areas where the homeless could settle versus being shuffled around to allow for more purposeful enforcement. Explore other purposeful solutions, including researching other communities’ models of success. Follow Official Community Plan initiatives that support opportunities for families, seniors and marginalized citizens to live and thrive in Vernon. Continue to work with community and provincial housing organizations to ensure progress continues. Advocate for zoning that supports housing projects within the city as funds come available from government. Support the development of the City Centre District, neighbourhood centres and designated multiple family areas to the densities outlined in the OCP to build compact, complete neighbourhood areas within the community and to achieve the maximum use of municipal infrastructure. Support council and staff to continue building excellent working partnerships with other governing bodies—including the Province and Regional District of the North Okanagan, Okanagan Indian Band, and the Greater Vernon Advisory Committee—so together we can protect and improve parks, infrastructure and publicly owned properties. Follow the guidelines of the OCP. Continue growth of community spaces including waterfronts and park areas. Collaborate with city staff to ensure commercial land availability is optimized helping reduce or maintain property taxes. Support infrastructure maintenance and improvements. Continue maintaining the current incremental municipal tax commitment at 1.9% dedicated to improving the city’s aging infrastructure. Be a strong voice on issues around flooding and protecting properties. Work with the governing bodies including RDNO and the Province to ensure preventative actions occur in the early spring season. Work closely with the RDNO, Province and GVAC to monitor and manage waterways wherever possible. Support City of Vernon’s continued growth of green initiatives. Build on our current emergency response and prevention strategies.